The professor of pediatrics at Northeast Ohio Medical University and the director of the NeuroDevelopmental Science Center at Akron Children’s Hospital provided insight into the therapeutic landscape of PMM. Primary mitochondrial myopathy (PMM), while not an extremely rare disorder, is still considered rare. As a result, the therapeutic development for it has been less-than-stellar over the years. With no FDA-approved therapies, patients are limited to symptom management methods, with vitamin therapy being the mainstay. 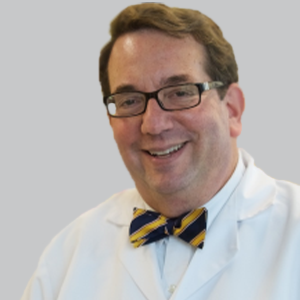 Although, as Bruce H. Cohen, MD, a professor of pediatrics at Northeast Ohio Medical University and the director of the NeuroDevelopmental Science Center at Akron Children’s Hospital, would point out to NeurologyLive, many physicians have begun to stray from this tactic as well due to a lack of real benefit. Cohen, who is also the director of the mitochondrial research program at Akron Children’s, explained in an interview how the treatment landscape has changed for PMM in recent years and provided some insight into the clinical development of 1 of the more promising agents for the condition, elamipretide. NeurologyLive: What does the current landscape look like? How has it changed in the last decade? Bruce H. Cohen, MD: The only thing that’s changed is the attitude of many clinicians—but not all—that the large numbers of vitamins and supplements used to treat this condition aren’t as effective as we once hoped that they would be. The clinical trials that have been done, and there haven’t been a lot of them, And the comprehensive reviews of some of those clinical trials have suggested that, in groups of patients, these supplements provide limited, if any, benefit. That doesn’t mean that an individual patient wouldn’t benefit from a particular vitamin, cofactor or other supplements, only that in the studies done in groups of patients have failed to show any demonstrated benefit. Don’t read anything between these words—there’s nothing between the lines, that’s just the fact. A Cochrane review and other reviews demonstrate the lack of proven efficacy and many experts are walking slowly away from using these vitamins, supplements, and cofactors as treatment. Many of us have walked away, not entirely but to a large extent, from recommending patients take 5, 10, 15 different supplements. We’ve reduced the number of supplements that we suggest, and some have even stopped offering suggestions of supplements because again, there’s no proof that they work in this population of patients. There’s also been in the last 10 years an appreciation, much of it because of the work done by Mark Tarnopolsky, MD, PhD and others, that exercise, both cardiac and resistance exercise, is beneficial for those that can do it. That would also go along with any different physical or occupational therapy, that movement alone provides a therapeutic benefit to these patients. What are the most promising therapies in development? There are 2 main pharmaceuticals in the United States under active testing now in multi-group settings. One is elamipretide, the other is a drug called EPI743, although that’s not under testing specifically for mitochondrial myopathy, it’s under testing for another kind of mitochondrial disease. Then there are other chemicals that are being tested in other types of clinical trials, that’s L-ARGININE and l-citrulline. This is being tested in small studies. Again, not necessarily in mitochondrial myopathy, but for mitochondrial diseases. Then, there’s a product that had been undergoing testing, a chemical called RT408, and that testing is on hold right now. But the one that seems to be furthest along in the clinical trial is elamipretide. I’m a study investigator for elamipretide and EPI-743, and just for conflict of interest purposes, I have been a consultant to Stealth Biotherapeutics. What makes elamipretide stand out from other agents? It was a drug that was designed to affect the inner mitochondria membrane in a beneficial way, so it was sort of a designer—it had a designer concept in mind. It got through its pre-clinical trials showing a benefit to the mitochondria in hypoxia-reperfusion injury models, so it showed a pre-clinical benefit on the animal models. Its early safety testing in humans went well, so the initial clinical studies in the mitochondria myopathy patients suggested safety. Although the early trial was not designed primarily to show benefits, there were some clues of benefit, again, to the point that there was a benefit when we were doing a phase 1 phase 2 study—the data was pointing in the right direction. The most recent trial demonstrated improvement in patient-reported outcomes, although did not show benefit in terms of the 6-minute walk test. There was enough evidence for the company to want to proceed with a definitive trial that we’re in the middle of right now (NCT03323749).